I'm wondering if anyone has experienced tear stains/excessively watery eyes in their Nihon Ken? My Yoji (6 months) has had runny eyes for about 3 months now with no sign of infection/foreign object and one seems to be more runny than the other. He tears every day. He's been to the vet twice over this as I was worried it could be the sign of something serious, but the vet had a look and assures me it's not. 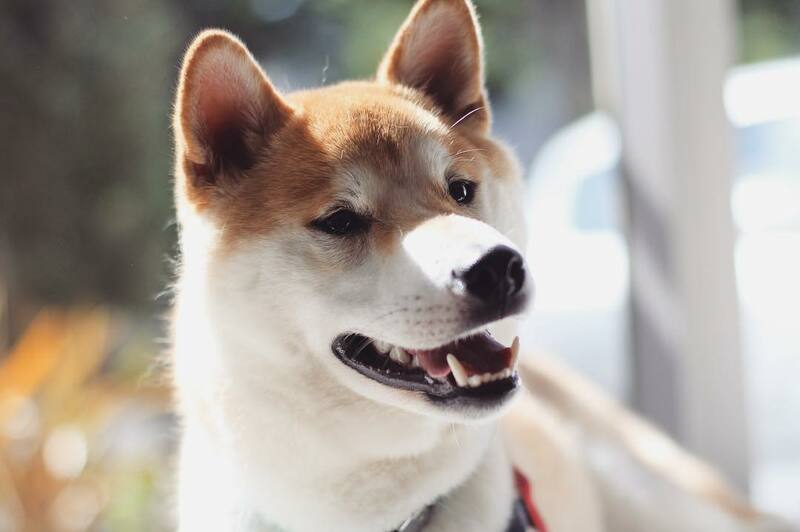 Obviously my concern will always be with his eyes as I know Shibas can suffer with them, but his mother and father's lines are clear for glaucoma. He had a fluorescien dye test which showed poor drainage through the ducts, i.e it wasn't draining through his nose fast enough and spilled out over his eye indicating they could be blocked, so when he goes in to be neutered, the vet will flush the ducts. I was wondering if anyone had this procedure done to their dogs, and if it alleviated the problem? Could he have narrow tear ducts? Breeder hasn't experienced this in any of her shibas either. Hopefully someone can shed some light on this! Will post some pictures when I get to a desktop! I'm thinking it is related to the nose, he does sneeze quite a bit but not excessively, which makes me think he's sensitive to something, can doggies get colds for that long? I believe it's an allergen of some sort, that's why I changed his food and cut out grain, chicken etc. Right now there seems to be so many possibilities! I'm hoping it will lessen with age, I know puppies are into everything and everything can be exaggerated coz they're so small! I am sure someone with more puppy experience and more shiba experience than I have will be along with more info! Acana is a great food, and I don't know if puppies can have allergies, I do know that if adults dogs have allergies to food it takes a lot longer than seems reasonable for the effect of the old foods to wear off. I don't really know why dogs can get those reddish tear stains, but surely someone here does. My elder Shiba (she is 11), gets watery eyes this time of year due to seasonal allergies. I call them her "allergy eyes". So allergies is probably the most likely suspect, even though it is pretty rare to see such severe allergies in such a young puppy. I would discuss your concerns with your vet and see if an antihistamine would be appropriate to try. It started with just the one eye, but now the staining & tearing is across the two with one worse. I suggested allergies to the vet and he almost dismissed the idea because he is a pup... but I believe it may be. He does also suffer with patches of dry skin that I have been treating with a tea tree skin cream and nibbles on his legs quite a bit but I'm not sure whether this is just him being fastidious and grooming himself. The vet suggested that his skin could be more itchy as he comes into coat. give it about 8 weeks after a food switch, or if its seasonal it might be harder to tell. clean the eyes regularly and wipe away from the inner eye, never towards. @omgtain - It is more rare for puppies under two years of age to develop allergies because the body has to be exposed to the allergen enough to build up an immune response to it. There are occasions when puppies do develop allergies, though, which is why I suggested that the OP discuss it further with his vet and request an antihistamine to see if it helps. @Yojimbo_90 - Food allergies are more common in puppies than environmental allergies. So you may want to start him on a limited ingredient elimination diet to see if it helps. You start with a two ingredient food with a novel protein and a novel carbohydrate and feed exclusively that (no treats, no snacks, nothing but the food) for 6-8 weeks to see if symptoms improve. If symptoms do not improve after that time period, chances are the problem is not food allergies. If things DO improve, you will add an additional food source (usually proteins are done first) for two weeks at a time to note any reactions. I would still talk to your vet first about trying an antihistamine to see if it is possibly an environmental allergy, which is much easier to diagnose than a food allergy. Allergy testing (blood test) is also an alternative, but not incredibly accurate. If things do not improve, you may need to see a specialist (allergen or ophthalmology). He will be going in to the vets in the next couple of weeks for neutering and the duct flush procedure, so will chat with the vet about the necessity of administrating an antihistamine then, and allergies in general. I'm sorry to jump in without reading all the responses in detail. Have you had an eye vet actually examine if his tear ducts are clogged and/or too small? If it can't drain properly then tears will come down the face instead. It is an easy test, they use a UV reactant fluid as eye drops, wait a little while, then shine a UV light in the nostrils to see if it glows. If they're not draining properly it could be simply because he is a puppy - different parts grow at different rates and its entirely possible that the tear ducts will be appropriate sized by the time he is "finished" and adult. I had this happen with my first import. Alternatively they could be clogged with something. It is possible to flush out tear ducts (kind of like roto-rooter lol) but it must be done under anesthesia and it isn't really a guarantee to improve anything. Also if it is chronic then you would be doing a lot of anesthesia when it reoccurs and that isn't wise. Since he is being neutered anyway, if it is cost effective then you might as well try it. But don't get your hopes up on it being a solution, especially for a puppy. There is also a surgery to permanently correct tear ducts that are too small, but I know nothing about it other than a friend of mine had it done on her dog last week. It was a simple outpatient procedure. With regards to allergens, I strongly recommend Dr. Jean Dodd's Hemopet test. You shouldn't medicate without confirming that he actually has allergies. Antihistamines are not immuno-suppressants, but they're not a long term solution because (a) they only mask the symptoms rather than fix the problem and (b) generally make a dog very drowsy, sometimes to the point of not really being functional, and that's no way to live day-to-day. They should be used as-needed for specific cases of a bad exposure to an allergen. @PoetikDragon - He had the fluorescien dye test that you're talking about done which did show poor drainage through the ducts, a lot of it ended up on his face rather than through his nose. Vet suggested flushing the ducts when he is being neutered. Update: Something I've noticed literally in the last two days is that his eyes aren't tearing as bad or spilling down his face at all, around his eyes is dry and seem normal but he now has clear fluid with a lot of sneezing coming from the nose. When he wakes in the night and in the morning he is sneezing a lot, but this is just in the last couple of days - since the tearing has stopped. But the eyes seem to be draining properly now through his nose. Could this be a mild cold either? He is in general, good spirits and his usual energetic self, eating and drinking well. Over the weekend he was quite sleepy but we put that down to lots of play and exercise... Will monitor his sneezing over the next couple of days. Will keep an eye on the tearing over the next couple of weeks before neutering and will talk to the vet to determine whether it's worth getting the procedure for his tear ducts done after all. I have read it can lead to scar tissue, thus narrowing the ducts further. I do think you are right about the tear ducts being small just coz he's a pup, I know his eyes and face are still growing and he has a bit more to go! Does your pup cry a lot when you're gone? Pups tend to cry a ton around that age once left alone. Miyuki had that issue whenever i would leave the room for more than 5 minutes. She eventually got over it, but chances are it's allergies. 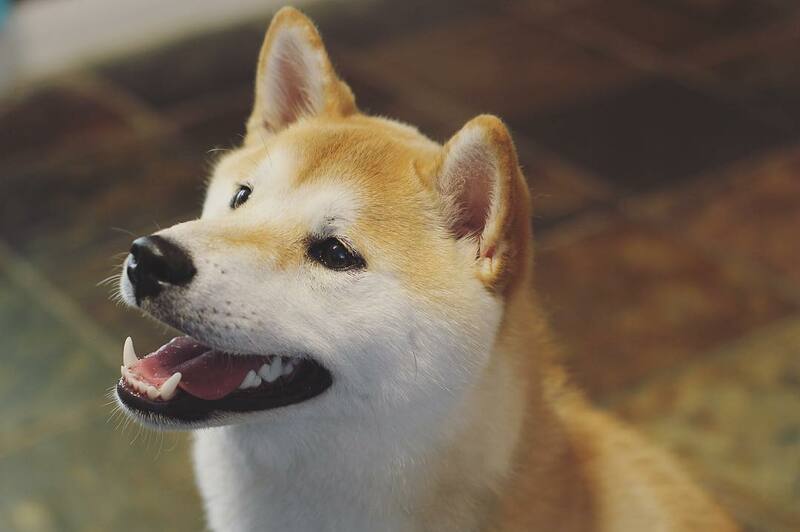 Almost every shiba i've met so far has had some form or another allergies. 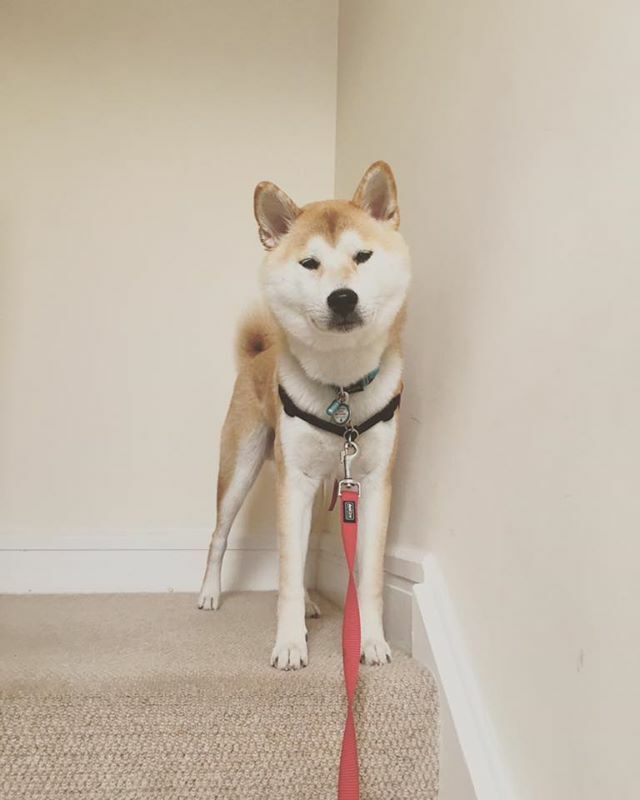 My dog Captain (5 months shiba boy) has pretty similar issue, and my doctors just gave me - oh, it's natural, just wipe if off, you can do nothing about it. I am wondering what happened now to your yoji. How did you do with it finally and does the stains go away? In my experience, if the test shows poor drainage, it's usually just that. Sometimes they don't drain at all. It can be clogged ducts, narrow ducts, closed ducts. I've seen it usually get better with age. I've heard it can help to clear them, but I've never had this done. Usually I just try to keep the area clean by wiping it with damp cotton and then a dry towel a few times a day, and sometimes massaging the area around the eyes with a warm damp towel (can help to loosen up ducts apparently, but that's anecdotal). Then again, could be allergies. It's also sometimes a sign of parasites. I have had more than one Shiba with eye issues and also allergies. So yes we have had ducts flushed as a pup as a first step in eye check and it did blow out the crust. I can't say it was fully effective long term. Short term it seemed to reduce the running. Certainly excessive tearing could be a symptom of narrowed or clogged ducts or improper duct alignment. Since your Shiba is still a puppy the nasal pathways are not fully formed. The ducts and passageways (puncta and lacrimal sac) can change with maturity as the snout elongates and eyes develop allowing for more spacing. Sometimes a dog will have a double puncta under one or both eyes so the drainage will be lower on the snout as well rather than at the eye line. In maturity the extra hole(s) closes off and the normal puncta above takes over tear flushing duties without overflow. The breeder should be aware of said issue in order to work toward omitting in their program. There is always a minor possibility that your pup may also have seed cataracts. This can be seen in pups not just symptoms of geriatric/old age. Cataracts are a genetic issue and can be pinpointed through a veterinary opthalmologist. Maybe going for some food changes might help which may reduce potential for gut problems that lead to dermal problems. : ) Nutrition and allergies do link even if in a minimal way. It can't hurt to try. Two of my Shibas exhibited symptoms of dermal allergies as early as 4 months. Food change made things better but did not fully resolve the issues. And of course there is the possibility of a combination of allergy and genetic based eye issues too. To begin with it will be helpful for you to keep a journal and mark your calendar when the eye flairs and or itching occur. For example, is the tearing seasonal, when you clean house, when certain food is eaten, after a walk, after you mow the lawn? Your journal will reveal more than what the vet assumes would or would not be allergies. If nothing else it will help to back up what you have alluded to through previous observation. In the mean time keeping the eyes flushed and lubricated with proper prescripts. to prevent excessive rubbing on furniture, carpeting, or plants that may damage the cornea. Certainly keep monitoring the situation. PS: very cute pup by the way! Thank you for the input and such a detailed response @StaticNfuzz :) and @TheWalrus! I had this problem with Yoji back in March and thankfully now the problem resolved by itself, and there was no need to flush the ducts. As you and my vet suggested, the growing of the face and snout I think contributed to it, now his eyes have cleared up completely. Thankfully it never got to the stage of crusting or itchiness, as it was just excess water coming from the eye that caused a little staining when exposed to the air. I was cleaning the eyes daily with a warm compress, but once the tearing stopped so did the staining.